The DefendAir HEPA 500 Air Scrubber/Negative Air Machine is a high efficiency air filtration system used primarily in the water/fire damage restoration, mold remediation, and in the dust & odor control industries. At 500 CFM, it can filter the air over 7 times an hour in a 20 ft x 20 ft room; removing any dust and particulate with HEPA filtration. The unit comes standard with a Pre-Filter & a HEPA filter. All other filters are sold separately. Often the terms "air scrubber" and "negative air machine" are used interchangeably. However, the two terms refer to very different applications. An air scrubber stands alone in the center of a room without any ducting attached. The air it filters is recirculated to the surrounding area. An air scrubber application helps improve the general air quality of the jobsite. A negative air machine uses ducting to remove contaminated air from a sealed containment area. The filtered air is exhausted outside of the containment. This creates negative air pressure (a slight vacuum effect) inside the containment relative to surrounding areas. A negative air machine application helps limit the spread of contaminants to other areas inside the structure. Any job that involves cleanup of sewage, flood waters, mold, and/or fire damage will generate significant amounts of particulates and odiferous (smelly) gases. These contaminants are a direct result of the damage itself, as well as the necessary process of treating and cleaning damaged materials. This includes not only damage in the occupied space, but also contaminants in wall or ceiling cavities that may be disturbed and unknowingly introduced into the occupied space. These contaminants can settle on carpet, upholstery, furnishings, and other surfaces in the home. The goal of every restoration job is to safely and efficiently return the indoor environment to pre-loss condition for the customer. Part of this responsibility is to address the quality of the air inside the structure, which can be accomplished with this machine as well as our Dri-Eaz commercial dehumidifiers & our Dri-Eaz flood drying axial fans. 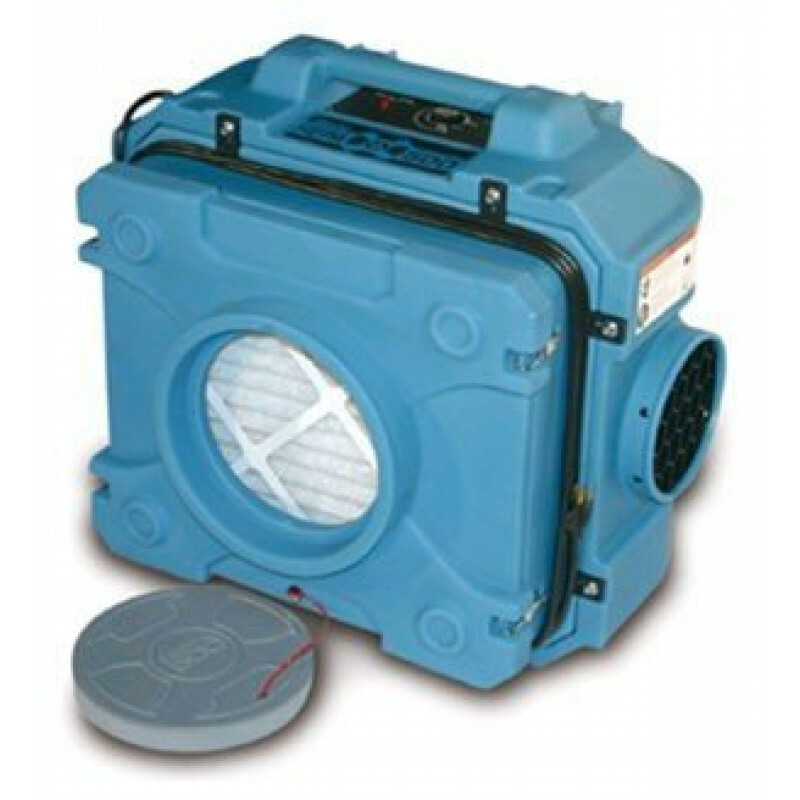 For more air cleaning options, please take a look at our complete line of air scrubbers. At 500 CFM, the HEPA 500 air scrubber can filter the air over 7 times an hour in a 20 ft x 20 ft room; removing any dust and particulate with HEPA filtration. Advanced filtration technology with 4 filters including the HEPA filter. Daisy chain up to 3 units together off a single outlet with the built in GFCI outlet. With the built in GFCI outlet, you can also add air movers & dehumidifiers, as long as you stay under 12 total amps drawn. Variable CFM on each unit allows you to adjust the amount of air scrubbed per each specific job/room need. Easily stackable and lightweight for storage and transport. 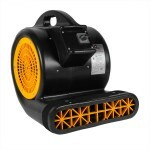 Intake: 12" | Outlet: 8"
This is a review for the Dri-Eaz® DefendAir HEPA 500 Air Scrubber & Negative Air Machine.